Are you thinking about purchasing a new vehicle but are not sure if it should be new or pre-owned? Don’t think that you’re alone; that’s a question faced by many auto buyers. Here at DePaula Chevrolet in Albany, NY, our team of knowledgeable sales and finance staff can help you solve your question. We have a large selection of certified pre-owned Chevy vehicles—from compact cars to SUVs to trucks—for you to test drive. While Chevrolet may not be the first auto manufacturer that comes to mind for a certified pre-owned vehicle, rest assured that our parent company has a robust program in place with plenty of models to choose from. Not sure if you need a popular full size pickup truck or crossover SUV? Maybe your mind is focusing on a hot sports coupe. Perhaps you’re more inclined to buy an environmentally-friendly hybrid vehicle. Whatever your taste, we currently have a variety of Chevrolet Cruze, Malibu, Captiva Sport LTZ, Equinox LS, Trax, Impala LT, Silverado Work Truck 4WD, Camaro SS, and Tahoe LTZ 4WD. Our certified pre-owned red 2016 Chevrolet Camaro SS RWD two-door coupe is an attractive sports car purchase to reward yourself for that new promotion or mid-life crisis. Price-conscious car shoppers who do not want to sacrifice quality over a good deal will do well purchasing a Chevy CPO. It is an especially good deal when you add in CPO inspection and warranty coverage. This is especially true for families that might be on a tight budget but still require a vehicle that has been inspected and certified. Being branded a Chevy CPO gives you and your family the security and peace of mind of being backed by Chevrolet plus it provides you with more protection. Here’s a hint–if you’re looking for an athletic crossover SUV for you and your family, the CPO 2013 Chevrolet Captiva Sport LTZ might be the perfect vehicle. If you are extremely diligent, you’ll be able to research the best CPO deals and incentives for each month. For example, Chevrolet’s certified pre-owned program recently offered qualified shoppers interested in a certified pre-owned Chevrolet Cruze, Equinox, Malibu, Silverado, or Traverse a 1.9 percent interest for up to 36 months. 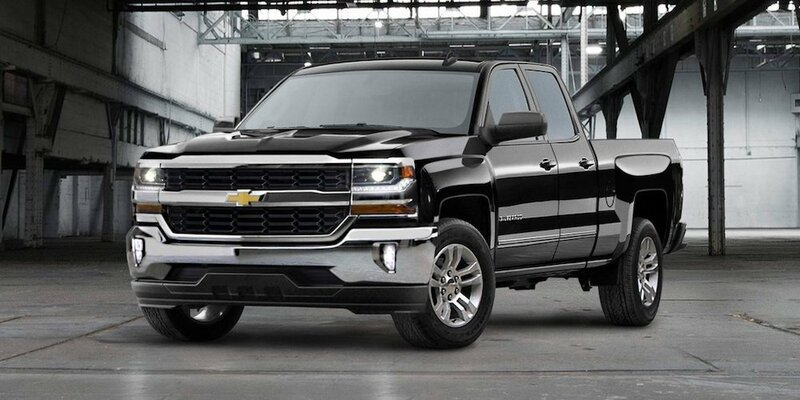 Why should you choose a certified pre-owned Chevy from us? Because unlike a private seller or an independent dealer, we offer one of the most comprehensive used-vehicle benefits packages in the industry. Chevrolet’s certified pre-owned program offers a 1-year or 12,000-mile bumper-to-bumper warranty that starts the day you buy your CPO Chevrolet, or from the date the original warranty stops if the car is still under warranty when you buy it. When you take ownership of your Chevrolet CPO vehicle, you’ll enjoy greater peace of mind with two factory-backed limited warranties and roadside assistance for a period of six years or 100,000 miles, whichever comes first. What’s more, the plan is fully transferable to subsequent owners and requires no deductible for repair work. We also give you peace of mind to know that we ensure that each Chevrolet CPO vehicle is thoroughly inspected and reconditioned before you buy it. For example, each certified pre-owned vehicle includes a 172-point inspection and a free vehicle-history report. On some models, Chevrolet also offers special financing rates beyond what you’d get from a standard used car. In addition, the plan offers a scheduled maintenance program, which includes two service visits over two years or 24,000 miles, as well a free trial period of OnStar services and SiriusXM satellite radio. Finally, if you’re not satisfied with the certified Chevrolet vehicle you’ve purchased for any reason, you have 3 days or 150 miles to exchange it for another vehicle. Yes, that means if you chose a pre-owned pickup truck but decide it’s not right for your family, you can replace it with a popular crossover SUV or sedan. The brand’s certified pre-owned powertrain warranty touts 6 years or 100,000 miles of coverage from the original purchase date. The bumper-to-bumper warranty touts one year or 12,000 miles of bumper-to-bumper coverage starting the day you purchase the vehicle. In addition, we supply you with important recall information. Before a Certified Pre-Owned vehicle is listed or sold, GM requires dealers to complete all safety recalls. That means you won’t be left to deal with a recalled vehicle. Once you’ve narrowed your choice between our line of pre-owned Chevy vehicles, our talented finance team can help you find the best financing deal. We’ll guide you through the entire financing process. If you’ve selected your CPO Chevy vehicle, you can start the financing process in the comfort of your home by filling out our secure finance application online. Once you own your pre-owned Chevy vehicle, DePaula Chevrolet continues to bring the best service to you and your vehicle. Our expert service department will ensure proper care of your CPO Chevy vehicle throughout its lifetime. Because it is pre-owned, you’ll want to make sure it is always in tip-top condition. You’ll be able to go online to schedule maintenance appointments, repair work, tire rotation, oil change, and installation services at your convenience. It’s also easy to see our latest service specials and allow you to easily order parts, accessories and tires. We ensure that our ASE-certified technicians are highly skilled and very knowledgeable about the Chevrolet brand. If while you own your pre-owned Chevy vehicle you need to replace a part or decide to add new customized accessories, our DePaula dealership can help you. By taking care of your CPO Chevy vehicle and being diligent with maintenance habits, you’ll find that there will be less time in the shop or sitting on the side of the road. We have a large inventory of genuine Chevy parts for your CPO vehicle or we can order them for you. These might include oil and oil filter replacements, windshield wipers, batteries, headlights, brakes and brake pads. Ready to come for a visit and view our inventory of pre-owned Chevy vehicles? DePaula Chevy is easily accessible at 785 Central Ave in Albany, NY 12206. Our location is easy to reach and near all major highways and streets. We’re open 24/7 for all customers and can be reached with either a quick phone call, email, or online live chat. At DePaula Chevrolet, our entire team works will help you find a perfect CPO Chevy vehicle and take care of it as long as you own it. Our large inventory of pre-owned Chevrolet vehicles continues to change daily. We believe that you’ll find the best service possible at our Albany dealership. We are truly dedicated to providing you with quality customer service.